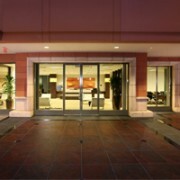 United Virtual Offices (the “Services”) are services operated by United Virtual, LLC. 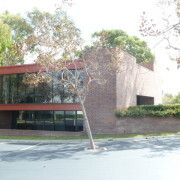 (“United Virtual” or “Company”) of 155 North Riverview Drive, Anaheim Hills, CA 92808, USA. This Agreement, which governs the terms and conditions of your use of the United Virtual Office(R), is between you (“You,” “User,” or “Client”), as an authorized user of the Services, and the Company. Client agrees that the Services will be used only as provided in such terms and conditions for legitimate business purposes. 2. TERM; AUTOMATIC EXTENSION; TERMINATION or SERVICE DOWNGRADE. For United Virtual Communications Services, the Initial Term is month to month. Communications services Product Downgrades or Terminations do require a 30 day written notice as specified below. For United Virtual Offices, the Initial Term of this Agreement is month to month, in each case commencing on the date stated on Client’s Contract or, if contracted online, the date the Client processes Client’s order online or order is processed over the telephone. Unless properly terminated or downgraded, this Agreement will be automatically renewed and extended for successive periods equal to the original term (each, a “Renewal Term”) until terminated, as provided herein, by either Client or United Virtual. If Client chooses to switch Virtual Office Location during any term of agreement, agreement term shall start again for 6 months at time of switch. 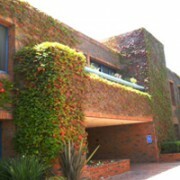 Client may terminate or downgrade Services upon expiration of the Initial Term or any Renewal Term by giving written notice of termination / downgrade 30 days prior to the end of the existing Term for Communication Services and 30 days prior to the end of the existing term for Virtual Office Location Services . For Communications Services, once a written notice of termination / downgrade has been received, Communications Services will terminate / downgrade on the last day of Client’s following complete recurring billing cycle. No prorated refunds shall apply and Client is still liable for any and all overage charges if applicable during final term of agreement. Client’s written notice to terminate the Agreement must be in writing, and must be sent by either (a) email addressed to cancellations@unitedvirtual.com, or (b) by certified mail, return receipt requested, sent to United Virtual, LLC, attn. 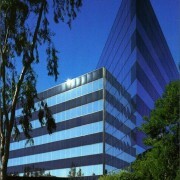 : Contract Terminations, 155 N. Riverview Drive, Anaheim Hills, CA 92808, USA. United Virtual’s written notice to terminate the Agreement shall be sent by either (a) email to Client’s email address on record with United Virtual, or (b) by first class mail to Client’s last known address on record with United Virtual. Upon termination of the Agreement for whatever reason, it is the Client’s responsibility to notify all parties of Client’s change of address and/or communications services. Subsequent mail sent to the virtual office location will be returned to sender if applicable and all communications services will terminate at that point. The standard fee during any extension period shall be equal to the then current standard fee for the User’s services. 3. MODIFICATIONS TO THE SERVICE. The Company reserves the right to modify or discontinue all or part of the Service, temporarily or permanently, with or without notice to User, and is not obligated to support or update the Service. The amended Terms shall be effective immediately after they are posted on United Virtual’s website, www.unitedvirtualoffice.com. User’s continued use of the Service after the posting of the amended Terms on the Site constitutes User’s affirmative: (a) acknowledgment of the Terms and its modifications; and (b) agreement to abide and be bound by the Terms, as amended. User acknowledges/agrees that the Company shall not be liable to User or any third party in event that the Company exercises its right to modify/discontinue all/part of the Service. 4. MODIFICATION OF USER RATES. The Company reserves the right, in its sole discretion, to change User pricing upon thirty (30) days’ notice. Notwithstanding the foregoing, if a User utilizes greater than the number of telephone or messaging or faxing minutes included in User’s monthly plan, the Company reserves the right to immediately charge the User for such use at a rate of 10 cents (U.S.) per automated minute and 90 cents (U.S.) per live minute for all minutes over the plan minute threshold when calling destinations within the continental USA. When calling destinations outside of the continental USA, international rates apply. Contact United Virtual customer service for current international rates. Voice to text transcriptions are charged at the rate of 3 cents per word if applicable. a. Payment of Your account balance and other applicable charges is due monthly and must be made by the valid credit card designated by You. You must promptly notify the Company of changes to: (a) the account number or expiration date of Your designated card; (b) Your billing address; or (c) cancellation, theft or loss of Your designated card. Any payment received after the due date will be assessed a $50 late payment fee. All billing of applicable subscription charges is starting at time of sign up. b. If payment for Your account is not received from the card issuer or its agents, You agree to pay all amounts due, including late payment fees and collection costs, upon demand. Each time you use the Service, or allow or cause the Service to be used, You agree and reaffirm that the Company is authorized to charge Your designated card. You agree that the Company may (at its option) accumulate charges incurred during Your monthly billing cycle and submit them as one or more aggregate charges during or at the end of each cycle, and that the Company may delay obtaining authorization from Your card issuer until submission of the accumulated charge(s). United Virtual reserves the right at any time to withhold any services provided under this Agreement (with or without notice) or to terminate the Agreement if fees are not paid by the end of the day they are due or the funds due from any retainers have not been cleared. Actual collection fees incurred by United Virtual, up to 50% of the account balance, will be added to the unpaid balance. You agree to pay United Virtual 1.5% interest per month on all amounts owing and not paid when due. The Company reserves the right to suspend or terminate Your Service account without notice upon rejection of any card charges or if Your card issuer (or its agent or affiliate) seeks return of payments previously made to the Company when the Company believes You are liable for the charge. Such rights are in addition to and not in lieu of any other legal rights or remedies available to the Company. c. Your set up fees (if applicable) and recurring service fees are payable in advance and are non-refundable. You agree that the Company may submit charges for Your monthly service fee each month, without further authorization from You, unless You provide prior notice that You have terminated this authorization or wish to change Your designated card. Such notice will not affect charges submitted before the Company reasonably could act on Your notice. (Note: the Company takes no responsibility for contacting You prior to charging Your designated credit card for Your recurring service fee.) If You have any question regarding any charges that have been applied to Your account, You must contact the Company’s Customer Service Department within 30 days of the charge date. Failure to use Your account will not be deemed a basis for refusing to pay any charges submitted by the Company in accordance with this Agreement. d. All Service packages that include a toll-free, local or international access number include a number of monthly telephone minutes as part of the recurring service fee. Live minute usage charges are billed in one second increments. Automated minute usage charges are billed per minute, and are rounded up to the next minute. The Company reserves the right to bill subscribers for usage above and beyond the subscribers plan’s monthly minutes at a rate of 10 cents (U.S.) per automated minute & 90 cents per live minute when calling destinations within the continental USA or Canada. When calling or faxing to destinations outside of the continental USA or Canada, international rates apply from the first minute. Faxes are charged by the page (inbound and outbound) and are typically equivalent to one automated minute per page. Usage fees will be billed in arrears and charged to your credit card of record. Conference calls are billed as automated minutes and if a toll free bridge number is used, billing shall apply equally for each participant, if a local bridge number is used billing shall apply only to call initiator. Administrative services shall be charged on a hourly fee and billed in 1 minute increments. You agree that the Company may submit these charges to Your credit card of record, without further notification or authorization from You. In the event Your account is terminated, the Company has the authority to charge Your credit card of record for any additional usage fees You may have accrued while still an active subscriber. You may forward your current toll-free number to us, with your current providers permission, for a one-time $75.00 port fee. Company owns all numbers used on the Service and toll free or local numbers may not be moved away from the Company unless Client did port number to United Virtual originally, in which case a one-time $250.00 port fee will apply to port number away. 6. SERVICES/MAIL. The United States Postal Service (USPS) requires the following compliance from the Client under the provisions of Rule 66, Federal Register 56993, November 14, 2001, which govern Commercial Mail Receiving Agencies (CMRA). If the location You signed up for is, or is hereafter deemed to be, a CMRA, then You agree to make the address format for Your business the following: Client Name PMB#____ (PMB# will be assigned after set up forms have been submitted) XYZ Street, Suite 123, City State Zip. Your failure to comply with this regulation may, at our sole discretion, be declared an act of default. You agree to furnish us with a completed and fully NOTARIZED CMRA Form 1583. Before mail may be received or any other location-related Services may be reserved or used, all persons for whom we handle mail, or who collects mail from the location, must provide us with a Government issued photo ID, plus one other form of acceptable identification, as specified in Form 1583. Any client that has reserved a virtual office location is required to provide proper identification and fully notarized forms with clearly visible stamp or seal as stated above, no matter the country of origin. Additional forms may be required to satisfy certain local or individual location needs. NOTE: DBA’s or additional company names require separate CMRA forms and will incur additional charges for virtual office address services. As per United States Postal Regulations, acceptable identification includes: valid driver’s license or state non-driver’s identification card; armed forces, government, university, or recognized corporate identification card; passport, alien registration card or certificate of naturalization; current lease, mortgage or Deed of Trust; voter or vehicle registration card; or a home or vehicle insurance policy. A photocopy of your identification may be retained by agent for verification. Social Security Cards, Birth Certificates, Credit Cards are not acceptable. User agrees to abide by all CMRA rules and regulations. At termination of this Agreement, You agree that all mail thereafter will be marked by United Virtual , “Return to Sender,” and no further mail or deliveries will be accepted. Client may use the address of United Virtual and/or its agents as specified above in this Agreement as Client’s business address, subject to exception in certain locations, but not as Client’s registered office address. Mail will be handled according to instructions specified by the Client, and the Client will be responsible for all resulting forwarding and service charges. Any violation of USPS regulations may result in termination of Services by United Virtual, and may subject the violator to fines or imprisonment. If United Virtual has been instructed to forward mail, neither United Virtual nor its agents shall be responsible for any delay or loss of mail during the forwarding process. United Virtual will not accept any items exceeding 10 lbs in weight, 18″ in any dimension, or 1 cubic foot in volume, or if the item contains any dangerous, live or perishable goods, and United Virtual shall be entitled in its absolute discretion to returned uncollected items or refuse to accept any quantity of items it considers unreasonable or unlawful. The Client warrants that it will not use any of the Services for any obscene, illegal, immoral or defamatory purposes and will not in any way bring United Virtual into disrepute. The Client will not in any way use or combine the United Virtual name, in whole or in part, for the purpose of trading activities. United Virtual will not be liable for any loss sustained as a result of any mechanical breakdown, strike, delay or failure of any staff, manager or caretaker to perform their duties. This Agreement is interpreted and enforced in accordance with the laws of Orange County California. 8. INTELLECTUAL PROPERTY RIGHTS. User acknowledges that content, including but not limited to policy information, text, software, music, sound, photographs, video, graphics, the arrangement of text and images, commercially produced information, and other material contained on the Site or through the Service (“Content”), is protected by copyright, trademarks, service marks, patents or other proprietary agreements and laws and User is only permitted to use the Content as expressly authorized by the Company. These Terms do not transfer any right, title, or interest in the Service, Site or the Content to User, and User may not copy, reproduce, distribute, or create derivative works from this Content without express authorization by the Company. User agrees not to use or divulge to others any information designated by the Company as proprietary or confidential. Any unauthorized use of any Content contained on the Site or through the Service may violate copyright laws, trademark laws, the laws of privacy and publicity, and communications regulations and statutes. EXCEPT AS SPECIFICALLY PERMITTED HEREIN, NO PORTION OF THE INFORMATION ON THE SITE MAY BE REPRODUCED IN ANY FORM, OR BY ANY MEANS, WITHOUT PRIOR WRITTEN PERMISSION FROM THE COMPANY. USERS ARE NOT PERMITTED TO MODIFY, DISTRIBUTE, PUBLISH, TRANSMIT OR CREATE DERIVATIVE WORKS OF ANY MATERIAL FOUND ON THE SITE FOR ANY PUBLIC, PERSONAL OR COMMERCIAL PURPOSES. 9. TRADEMARKS. “Company Trademarks” means all names, marks, brands, logos, designs, trade dress and other designations the Company uses in connection with the Service or any other service. User acknowledges the Company’ rights in the Company Trademarks and agrees that any and all use of the Company Trademarks by User shall inure to the sole benefit of the Company. 10. DISCLAIMER OF WARRANTIES. USER EXPRESSLY AGREES THAT USE OF THE SITE AND THE SERVICE IS AT USER’S SOLE RISK. THE SITE AND THE SERVICE ARE PROVIDED ON AN “AS IS”, “AS AVAILABLE” BASIS. THE COMPANY EXPRESSLY DISCLAIMS ALL WARRANTIES OF ANY KIND, WHETHER EXPRESS OR IMPLIED, INCLUDING, BUT NOT LIMITED TO THE IMPLIED WARRANTIES OF MERCHANTABLITY, FITNESS FORA PARTICULAR PURPOSE, TITLE AND NON-INFRINGEMENT AS WELL AS ALL WARRANTIES ARISING BY USAGE OF TRADE, COURSE OF DEALING OR COURSE OF PERFORMANCE. THE COMPANY MAKES NO WARRANTY THAT THE SITE OR SERVICE WILL MEET USER’S REQUIREMENTS, OR THAT THE SITE OR SERVICE WILL BE UNINTERRUPTED, TIMELY, SECURE, ERROR FREE OR VIRUS-FREE NOR DOES THE COMPANY MAKE ANY WARRANTY AS TO THE RESULTS THAT MAY BE OBTAINED FROM THE USE OF THE SITE OR THE SERVICE OR AS TO THE ACCURACY OR RELIABILITY OF ANY CONTENT OR ANY INFORMATION OR PRODUCTS OBTAINED THROUGH THE SITE OR SERVICE OR THAT DEFECTS IN THE SERVICE WILL BE CORRECTED. USER UNDERSTANDS AND AGREES THAT ANY MATERIAL OR DATA DOWNLOADED OR OTHERWISE OBTAINED THROUGH THE USE OF THE SITE OR SERVICE IS DONE AT USER’S OWN DISCRETION AND RISK AND THAT USER WILL BE SOLELY RESPONSIBLE FOR ANY DAMAGE TO USER’S COMPUTER SYSTEM OR LOSS OF DATA THAT RESULTS FROM THE DOWNLOAD OR USE OF SUCH MATERIAL OR DATA. SOME JURISDICTIONS DO NOT ALLOW THE EXCLUSION OF CERTAIN WARRANTIES UNDER CERTAIN CIRCUMSTANCES; CONSEQUENTLY, SOME OF THE ABOVE EXCLUSIONS MAY NOT APPLY TO USER, IN WHOLE OR IN PART. 11. LIMITATION OF LIABILITY. As a condition of use of the Service, and in consideration of the Services provided by the Company, User agrees that neither the Company, nor any officer, affiliate, director, shareholder, agent, contractor or employee of the Company (the “Company Affiliates”), will be liable to User or any third party for any direct, indirect, incidental, special, punitive, or consequential damages, loss of profits, loss of earnings, loss of business opportunities, damages, expenses, or costs resulting directly or indirectly from, or otherwise arising in connection with the Service, Site or Content; including but not limited to any of the following: Reliance, Termination, Infringement, Force Majeure. The limitations set forth in this section apply to acts, omissions, negligence, and gross negligence of Company and/or the Company Affiliates, which, but for this provision, would give rise to course of action in contract, or any other legal doctrine. The Company shall not be liable for any direct, indirect, incidental, punitive, special, multiple, or consequential damages resulting from the use or inability to use the Services or for cost of procurement or substitute goods and services or resulting from any products or services purchased or obtained through the site including loss of profits, use, data or intangible property, even if the Company has been advised of the possibility of such damages. The entire liability of the Company and Your exclusive remedy with respect to the use of the site and service are limited to the lesser of (1) the amount actually paid by You for the Service during the three (3) months preceding the date of Your claim; or (2) US $500.00. You hereby release the Company and the Company Affiliates from any all obligations, liabilities and claims in excess of this limitation. 14. INDEMNIFICATION. User will defend, indemnify and hold harmless the Company and the Company Affiliates, and their respective successors and permitted assigns, from and against any claim, suit, demand, loss, damage, expense (including reasonable attorneys’ fees and costs) or liability that may result from, arise out of or relate to: (a) acts or omissions by User arising out of or in connection with this Agreement; (b) intentional or negligent violations by User of any applicable laws or governmental regulation, (c) contractual relations between the User and a third party; or (d) infringement of intellectual property rights including, but not limited to, rights relating to patent and copyright. User acknowledges that the Company has no control over the content of information transmitted by User or User’s customers and that the Company does not examine the use to which User or User’s customers put the Service or the nature of the information User or Users customers send or receive. User hereby indemnifies and holds harmless the Company and Company Affiliates from any and all loss, cost, damage, expense, or liability relating to or arising out of the transmission, reception, and/or content of information of whatever nature transmitted or received by User or Users. 16. TERMINATION & EFFECT. The Company may terminate or suspend access to the Service or Site with or without cause at any time and effective immediately. Reasons for termination or suspension shall include, but are not limited to, the following: inactivity of the User; violation of any terms listed in this policy; or failure to pay for Services.. The Company shall not be liable to User or any third party for termination of the Service or Site. Should User object to any provision of the Terms or any subsequent modifications thereto or become dissatisfied with the Service or Site in any way, Users only recourse is to immediately: (a) terminate use of the Service and Site; and (b) notify the Company of termination. Upon termination of access to the Service and Site, User’s right to use the Service and Site shall immediately cease. In the event of User default, User agrees to pay all costs, expenses and reasonable attorneys’ fees expended by United Virtual in enforcing this Agreement or collecting any sums due hereunder both in and out of bankruptcy and before and after judgment. 17. SEVERABILITY. In the event that any provision of the Terms shall, in whole or in part, be determined to be invalid, unenforceable or void for any reason, such determination shall affect only the portion of such provision determined to be invalid, unenforceable or void, and shall not affect in any way the remainder of such provision or any other provision of the Terms. The Company’s failure to act with respect to a breach by User or others does not waive its right to act with respect to subsequent or similar breaches. 18. CONFIDENTIALITY. Client recognizes that Client may, in the course of obtaining or using the Services, come into possession of or learn confidential and proprietary business information of United Virtual (“Confidential Information”). Client agrees that during the Term of this Agreement and thereafter: (a) Client shall provide, at a minimum, the care to avoid disclosure of unauthorized use of Confidential Information as is provided with respect to Client’s own similar information, but in no event less than a reasonable standard of care; (b) Client will use Confidential Information solely for the purposes of this Agreement; and (c) Client will not disclose Confidential Information to any third party without the express prior written consent of the Company. Upon termination, Client will promptly return to the Company any Confidential Information. If the Company transfers its business or any business segment that provides Services to Client, the Company is authorized to transfer all User information to Company’s successor. Davinci may elect to record calls at any time for training or quality assurance. 20. CONFERENCE & “OFFICE FOR A DAY” TERMS AND CONDITIONS. Company entitles Users to hire offices, meeting rooms and conference services (“Facilities”) by the day, half day or hour from United Virtual LLC, its Partners, and members. Use of any Facilities will be subject to: (i) availability of the Facilities; (ii) payment of all fees and charges incurred in reserving and/or using the Facilities; and (iii) compliance with the terms and conditions and/or house rules from time to time applicable to the Facilities. Unless otherwise agreed in writing, settlement of all fees and charges incurred in reserving and/or using the Facilities is to be made by Client prior to use and shall not be considered guaranteed until written confirmation has been provided to Client. Cancellations or changes received earlier than 48 hours prior to the reserved date will be charged USD. $15.00 cancellation/handling fee, and cancellations / changes received within 48 hours of the reserved date will be charged the total fee. This also applies if the booking was made less than 48 hours of reservation date/time. Any costs incurred to third party suppliers (e.g. caterers or equipment suppliers) as a result of cancellation will be payable in full by the Client. Reservations not made through United Virtual are not guaranteed in any way and no pricing structure is guaranteed for reservations not made specifically with . United Virtual Client’s written notice to change or cancel an existing reservation must be in writing, and must be sent by email addresed to reservations@unitedvirtual.com. DAMAGES WAIVER: User hereby authorizes United Virtual to charge initial applicable reservation fees and any and all applicable variable fees including fees incurred for any potential damages.